A Nobel Peace Prize for 14-Year-Old Malala Yousafzai? An online petition that has gathered more than 38,000 signatures on Change.org calls for nominating 14-year-old Malala Yousafzai for the Nobel Peace Prize for her courageous efforts. 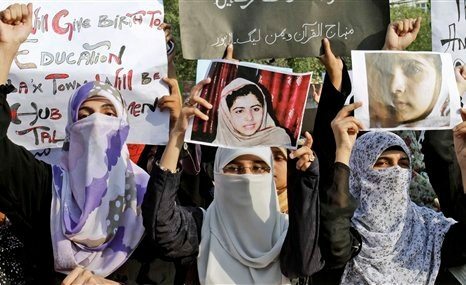 The Taliban in Pakistan attempted to murder Malala earlier in October for advocating for women’s education rights and documenting the Taliban’s destruction of schools. Malala is still recovering from the attack at the Queen Elizabeth Hospital in Birmingham, England. CNN reported that Malala’s parents arrived in England yesterday to reunite with their daughter, who was able to get up and communicate. Malala’s father, Ziauddin Yousafzai, managed a school in Pakistan’s conservative Swat Valley and kept the school open to girls despite the Taliban’s opposition. Online activism for Malala’s nomination has also extended to Twitter, where those using the hashtag #Nobel4Malala are spreading the word and encouraging others to sign on.